Getting right into the tea lately. It’s a good drink for work. Healthier than coffee and soft drinks, not as boring as water. I am working my way through some vanilla redbush from T2. 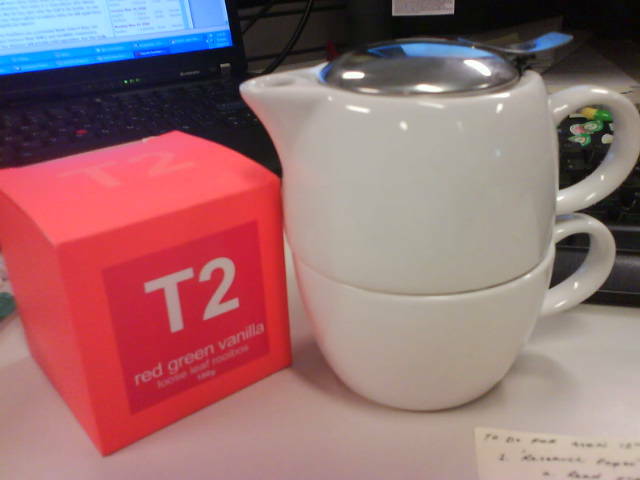 And I got a funky new teapot from Victoria’s Basement for $10.